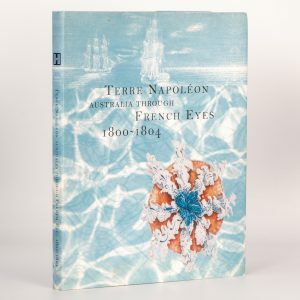 Sydney : Historic Houses Trust of New South Wales in association with Hordern House, 1999. 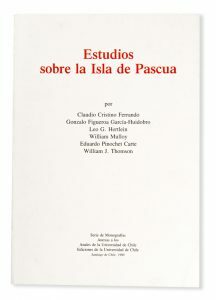 Quarto, boards in dustjacket, pp. 150, extensively illustrated. 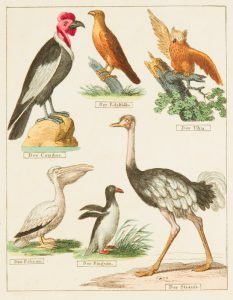 Art from the Baudin voyage to Australia. Indiae orientalis (Small Voyages), Parts IV-XI. Whangarei, NZ : F.G. Radcliffe [c.1910]. 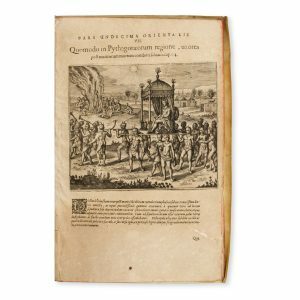 Small oblong quarto, original silver-lettered grey wrappers and green ties,  pp, all monochrome photographic illustrations; a pristine copy. 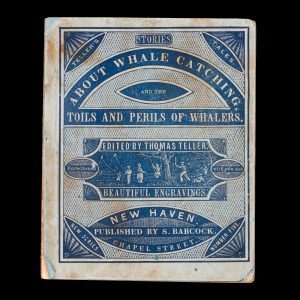 [WHALING] Stories about whale-catching. Told by a father to his son. London : The Religious Tract Society, 1839. 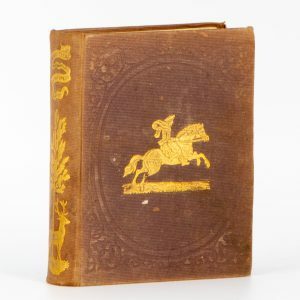 Small square octavo, gilt-illustrated cloth (light discolouration), all edges gilt, engraved frontispiece, pp. xvi; 254, (2 – catalogue), numerous steel engravings with tissue guards (some foxed). 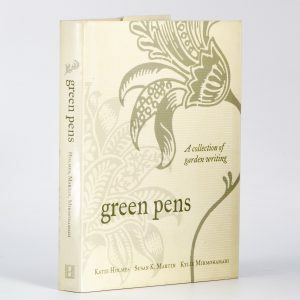 A charming book on British fauna. 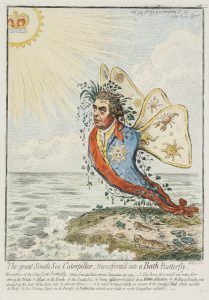 Aux Antipodes : terres et peuplades peu connues de l’Océanie. 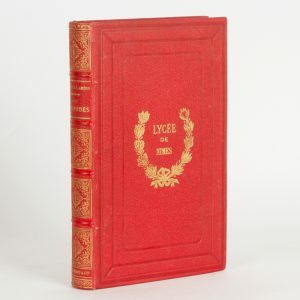 Paris : Librairie de Firmin-Didot et Cie., 1890. 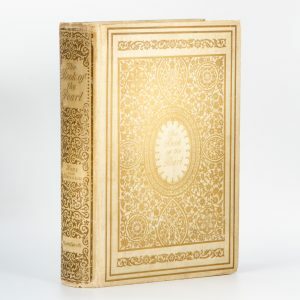 Octavo, contemporary gilt decorated boards, marbled endpapers, Lycee de Nimes prize, dated 1893 on front pastedown, all edges gilt, 223 pp, 59 illustrations. Text in French. A very good copy. Ethnology and natural history of the Pacific region covering Australia, New Zealand and island Polynesia, Melanesia and the Malay archipelago. Meteorological charts of the Southern Ocean between the Cape of Good Hope & New Zealand. 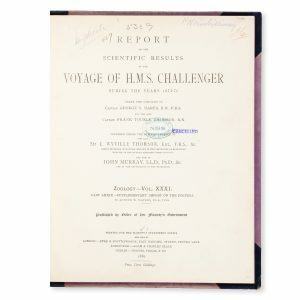 Report on the scientific results of the voyage of H. M. S. Challenger during the years 1873 – 76 under the command of Captain George S. Nares, R. N., F. R. S. and the late Captain Frank Tourle Thomson, R. N.
London : Kew Publishing, Royal Botanic Gardens, 2011 (2012 reprint). 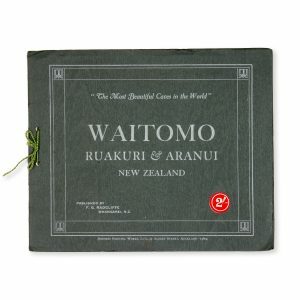 Oblong quarto, illustrated wrappers, pp. 96, extensively illustrated. 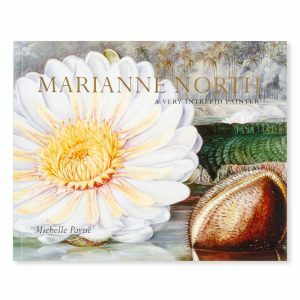 Botanical works including those painted in Australia and New Zealand. 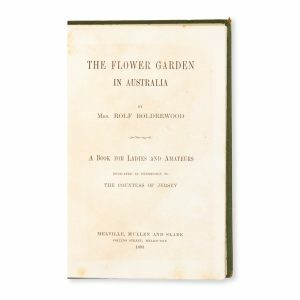 The flower garden in Australia : a book for ladies and amateurs. 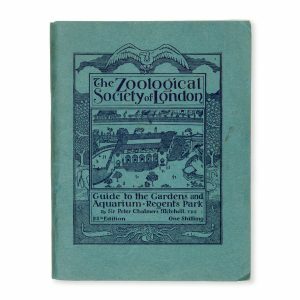 [THYLACINE] Official Guide to the Gardens and Aquarium of the Zoological Society of London.